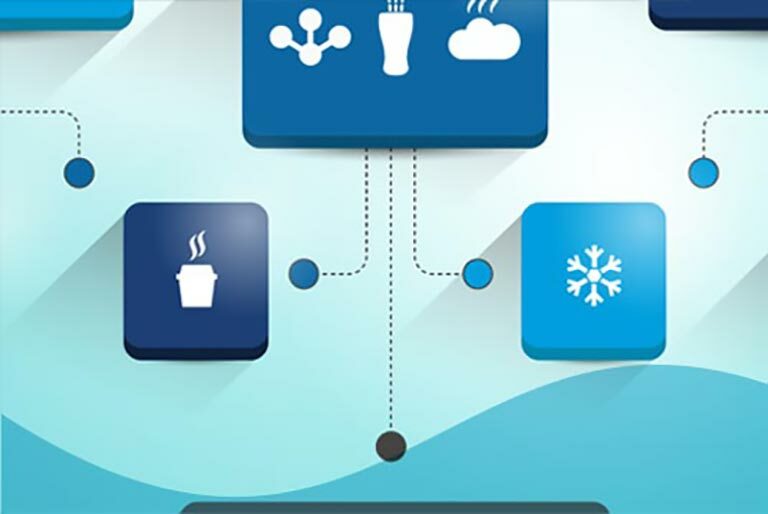 Sediment clogs plumbing equipment, serves as a catalyst for scale build-up, and causes cloudiness in beverages. 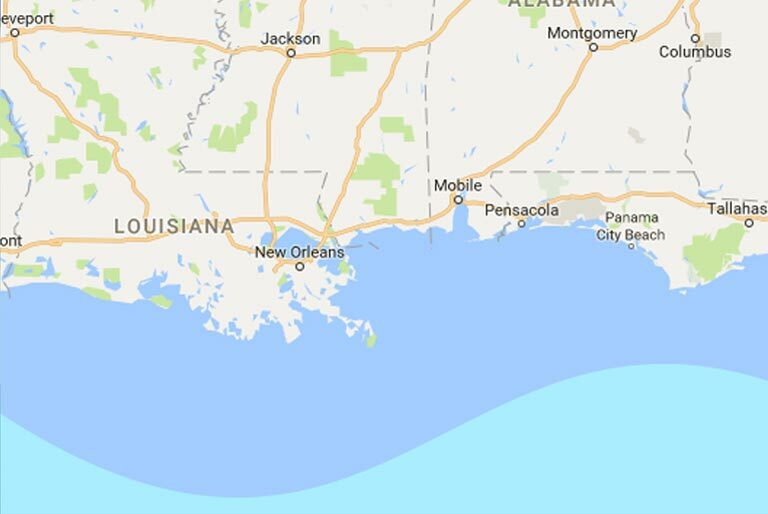 Sediment is a common term used to describe an array of particles in water, such as dirt, silt, fine sand, rust and organic debris. It is not dissolved into the chemistry of water, it is suspended particles of matter that have been picked up and are along for the ride. Sediment gets trapped in the nooks and crannies of equipment plumbing and can clog solenoids, screens, valves and other fittings. Fine particulates also combine with precipitated minerals from dissolved solids and provide a catalyst for scale build-up. 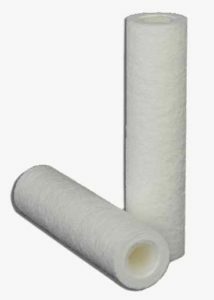 There are different types of filtration media used to remove particulates from water. Fundamentally, they work like a net to trap and hold objects larger than the holes in the net. 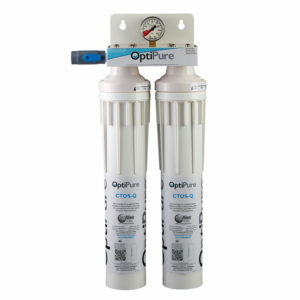 OptiPure Cartridges with Sediment Filtration Utilize Gradient-Density, Depth Filtration. 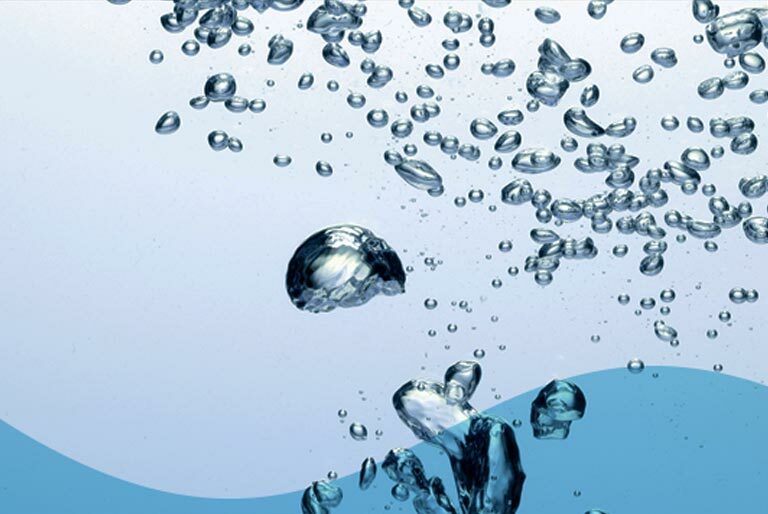 This means that water flowing through the filter passes through nearly ¾” of media that traps particulates within the many layers that make up its depth. 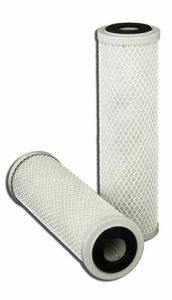 The larger dirt particles are trapped in the outer layers of the filter. As the gradient becomes progressively denser, smaller particles are trapped in the deeper layers of the filter. 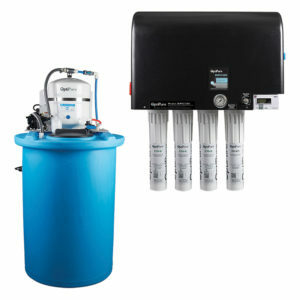 This filtration technology provides exceptional dirt-load capacity and allows excellent flow with minimal pressure drop between recommended filter change intervals. 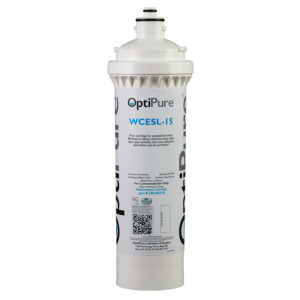 These cartridges filter most of suspended particulate matter, down to 0.5 micron in size. To get an idea of how small this is, one micron is equivalent to 0.000001 meter, a human hair is about 90 microns thick and the smallest speck you can see is about 40 microns across. The CTO media is a dual-purpose media that includes activated carbon for chlorine, taste & odor reduction. 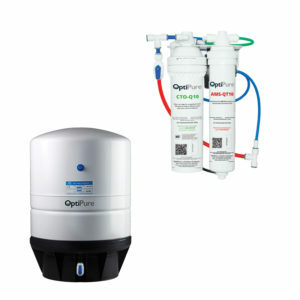 Various QT and FX Systems Include an Integrated Sediment Pre-Filter. 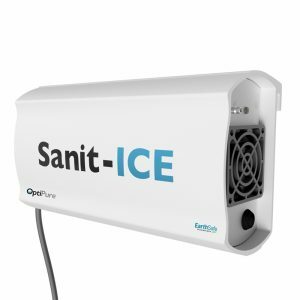 This design is meant to deal with water supplies that contain excessive amounts of sediment, typically surface water supplies, such as lakes and rivers. 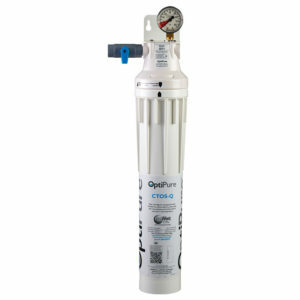 OptiPure PolyTrix sediment filters trap larger particles, down to 5 micron to extend the dirt-load capacity of the system and minimize the potential for flow restriction and filter plugging. 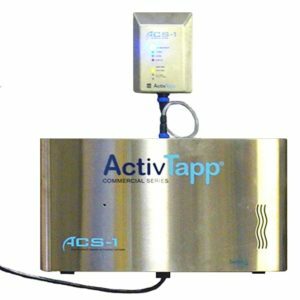 Pre-filtration systems are available for add-on applications where dirt and sediment levels become problematic with existing systems. 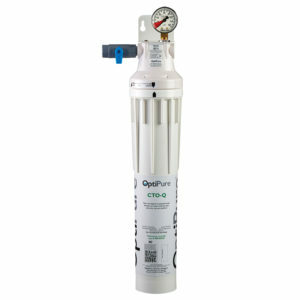 A variety of QT and FX systems include 0.5, 1, and 5 micron systems for applications requiring flow rates up to 10 gallons per minute. 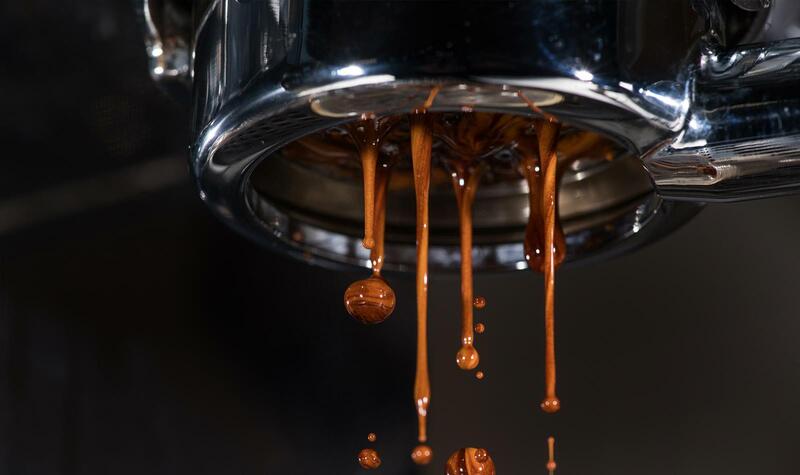 Filtering out sediment is beneficial for maintaining the condition of equipment condition as well as water quality, and recommended for all foodservice equipment applications.